SO… YOU NEED HELP WITH THE AUSTRALIAN MIGRATION PROCESS? 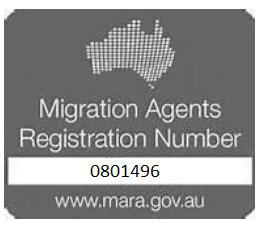 All consultants at Simply Visas are registered with the Migration Agents Registration Authority (MARA). You can have confidence that you will be dealt with competently, diligently and fairly throughout the visa application process. Australian Registered Migration Agents are governed by a strict Code of Conduct, you can view it here. Should you choose to engage Simply Visas we will provide you with a detailed service agreement, along with a copy of the Consumer Guide, the Consumer Guide includes a summary of the Code of Conduct along with what you can expect from us, you can view it here. With over 10 years of experience advising and assisting corporate clients and individuals through the migration process in Australia, Simply Visas is your trusted source for timely, accurate and reliable migration assistance. At Simply Visas we also like to get involved in our local community, for this reason we are members of the Hornsby Chamber of Commerce. The Founder of Simply Visas, Shelley Duffy, is also a committee member of the Hornsby Chamber of Commerce, currently serving as Secretary. Supporting local business as well as being active members of the local community is important to Simply Visas and the business takes every step available to strengthen ties within the local community as well as learn and grow through this medium. At a state level, to keep abreast with developments that effect our business Simply Visas is also a member of the NSW Business Chamber. Membership allows Simply Visas access to a broad range of services such as technical advice, business support tools, information services and educational events. These are just two examples of relationships which give added strength to Simply Visas when lobbying government at local, State and Federal levels. Partnering with The Hornsby Chamber of Commerce and the NSW Business Chamber also enables Simply Visas to better face the challenges of a continually changing economic landscape.